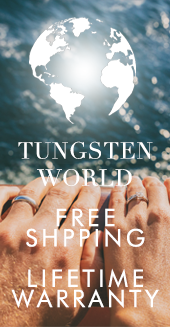 A truly one-of-a-kind custom ring at an amazing price! 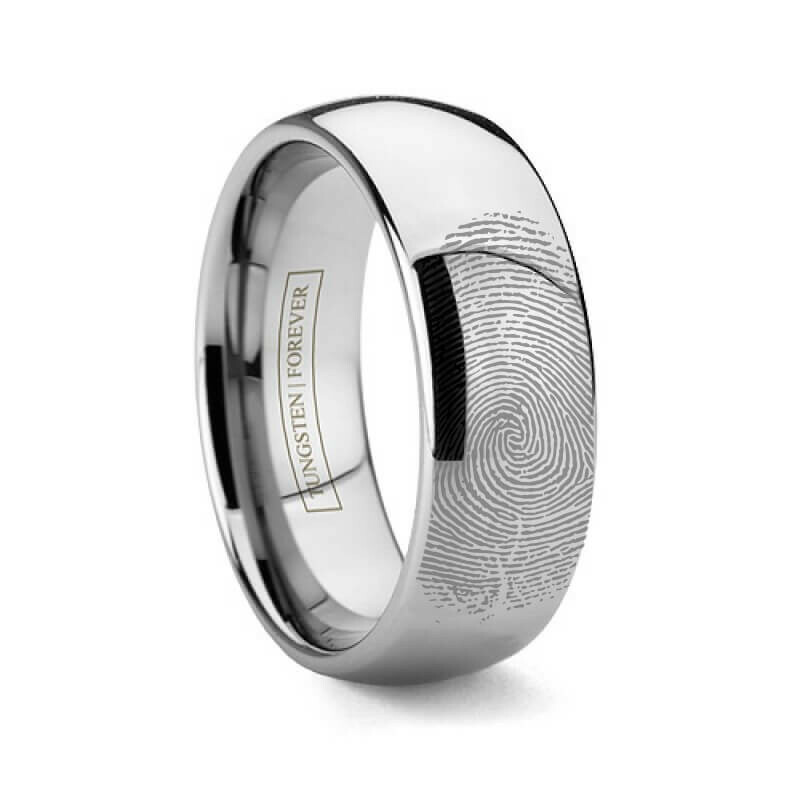 Our IMPRINT ring made from high quality tungsten carbide features the unique contours of you or your loved one's fingerprint precisely engraved using our laser engraving machine. 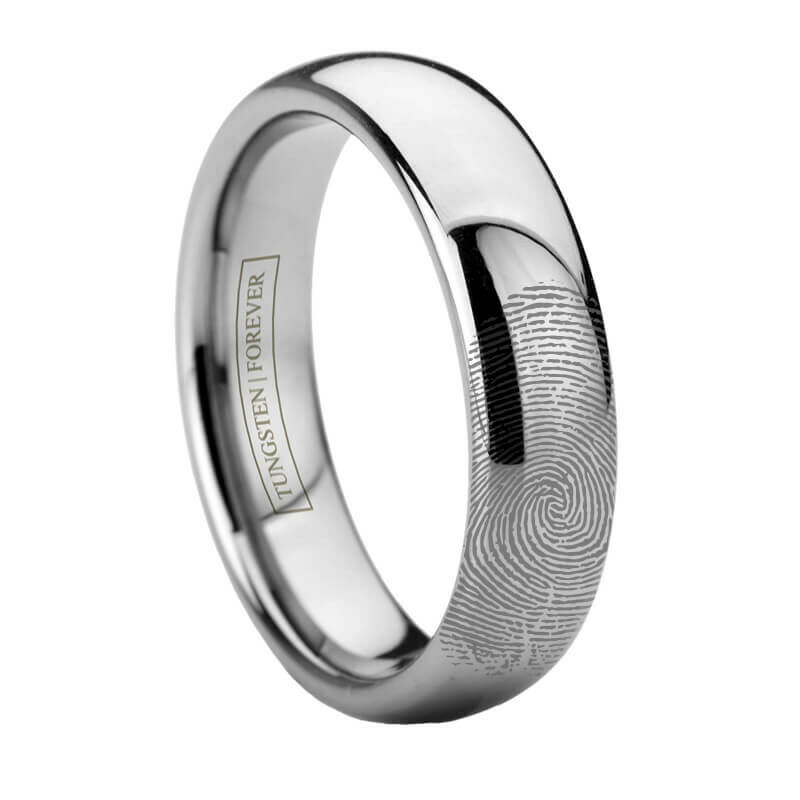 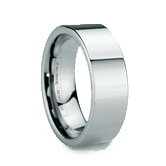 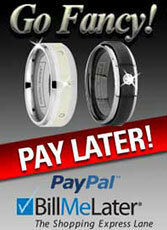 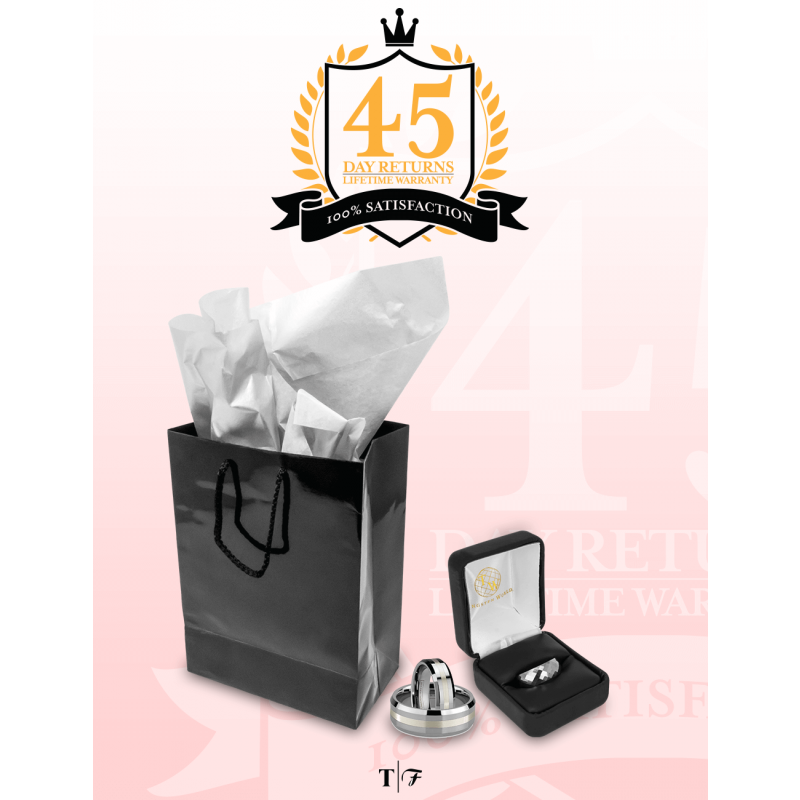 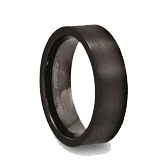 Keep a bit of your partner on you at all times by adding their fingerprint to this high polished domed tungsten ring. 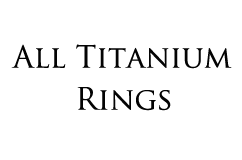 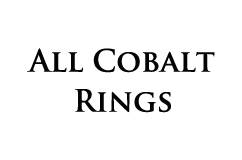 *Engravings/Engraving color can vary slightly To send us your fingerprints, after placing your order take a blank white sheet of paper and using an ink pad or inkless notary pad, apply your fingerprint multiple times and as cleanly as possible to the sheet of paper. 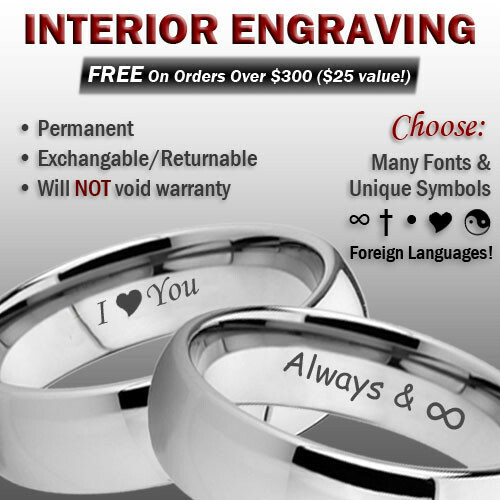 Be sure to simply press down your finger and not roll it to avoid smudging. 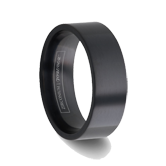 For optimal results, please photograph or scan 4 to 6 prints close up and individually with your smartphone or digital camera. 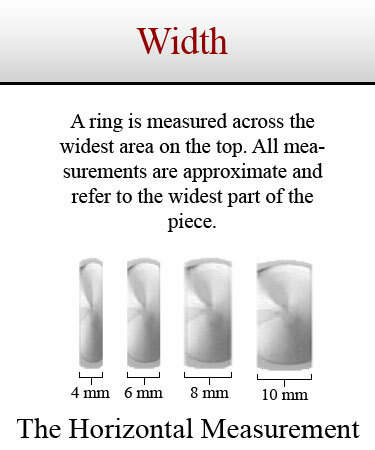 This guarantees the best resolution and allows us to enlarge the individual prints. 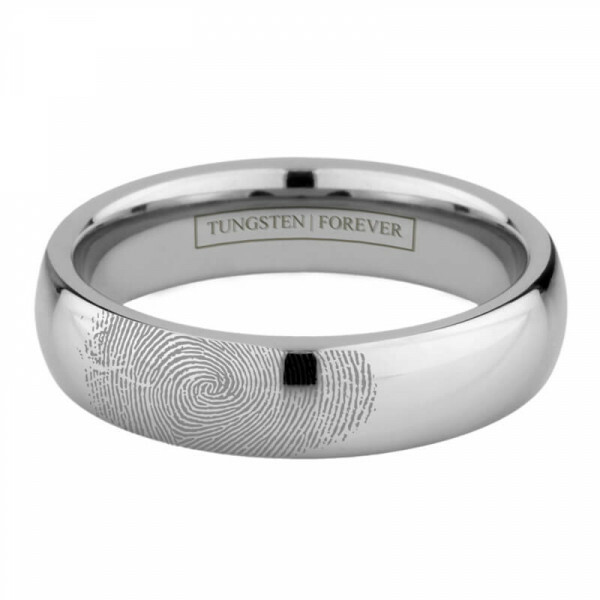 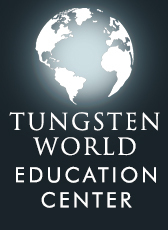 Email your fingerprints with your order number to sales@tungstenworld.com and we will handle the rest. 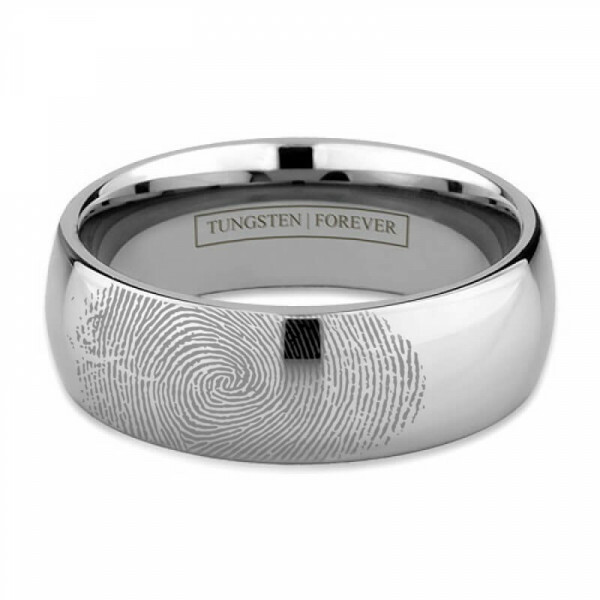 We'll be sure to pick the clearest print and to add it to your ring similar to the size of your actual fingerprint. 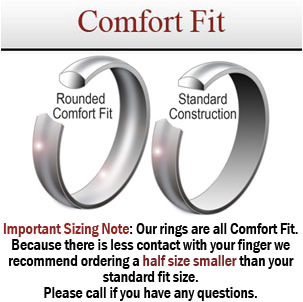 If you have any questions or would like your fingerprint added to a different style of ring, please contact us 800-731-1123 and we would be happy to assist you.